J.F. 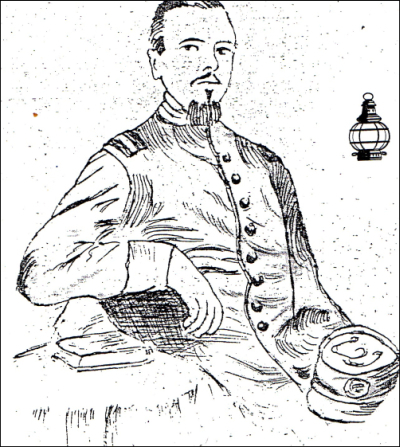 Dwelling in a drawing of his Civil War years, in uniform. We hope that a reader will find in their family collection photos of Joseph Dwelley and/or the LaConner area and his store, circa 1874-1934. Please share a copy or scan. For many years, at the beginning of our research project two decades ago, we knew the name of Joseph F. Dwelley more as boilerplate, one of the pioneers who was celebrated but didn't quite excite our full imagination. That was my fault. Little did I know that a set of documents would show up that would turn my head around about why Mr. Dwelley was one of the key pioneers who determined the future of Skagit county. This is a placeholder story, or preview of coming attractions, as the old movie theaters used to show to encourage repeat visits at the Dream Theater in Sedro-Woolley and many other movie-houses of my youth. The Joseph F. Dwelley autobiography that we will serialize in 2012 will equal those thrilling tales of old in many ways. Dwelley was born in Maine and was soon messing around in boats and learning to be a carpenter. He grew into a young man in Wisconsin and then began his ascent into history when he enlisted in the volunteers who marched off to the Civil War. He was almost like Woody Allen's Zelig, as he appeared in and fought at some of the major battles of the war: Antietam, Chancellorsville (where he was promoted from corporal to lieutenant for his battlefield leadership), The Wilderness — and most important for Northwest pioneers — he witnessed Pickett's famous charge at Gettysburg, which occurred just a few years after Pickett commanded the frontier U.S. Army Unit in Whatcom. Over the years we were presented two copies of Dwelley's autobiography from various members of the family. Chuck's widow, Helen — who died in November 2011 — remembered typing it. This newer version, however, was typed on an 8 1/2x11 format and included copies of some family photos. Appended to that newer autobiography was Chuck's recap of the next 60 years of Joseph F. Dwelley's life, after 1874 when his memoir ended. 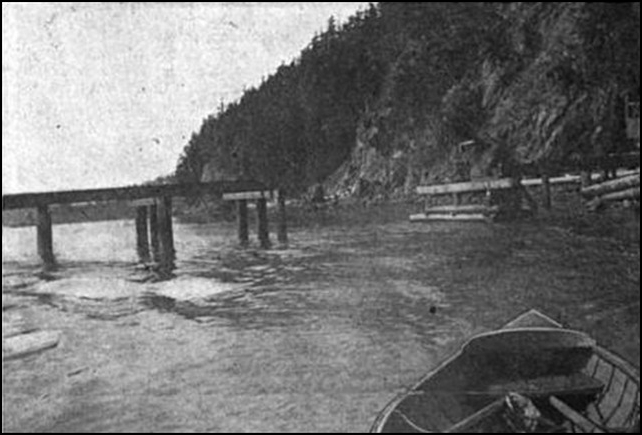 This photo shows the Hole in the Wall southern entrance to Swinomish slough, through which Joseph would have paddled. Photo from Honore Wilhem's The Coast magazine, December 1908 issue. Then, a couple of years ago we received a most interesting email from a reader of this site. Garland and Patricia Cranford live in Vancouver, WA, and they had found an old suitcase at a garage sale in Spokane about ten years earlier. Just recently they had discovered a manuscript inside the suitcase and it appeared to be a much earlier version of the Dwelley memoir and in a file with it were some of Dwelley's original official papers. That was during my recent illness, but eventually the couple agreed to donate the papers to the Journal and that we would disseminate them to any museum who wanted to copy or scan them and that we would find a home for them, with archival security and access to scholars and researchers. Just recently, in the second half of 2011, we finally established the papers' provenance. They were apparently typed in this original form in the 1930s or early '40s (Dwelley died in 1933), and all signs point to the typist as Kate Dwelley Maloy, one of Joseph and Angeline's surviving children. She lived to a ripe old age herself and, as you will read in the linked 1959 Seattle Times story below, she showed this manuscript to the reporter, Lucile McDonald, that year. Then we found on the back of one of the pages the name of one of Kate and Pat's 19 children: Edna Maloy Machin. Edna was born in 1897, and we know from Skagit County burial records that she died in 1992. She had been a widow several years and was buried at Pleasant Ridge. She apparently inherited the original Dwelley memoir after Kate died in 1967 or after her husband, Patrick, died in 1973. Neither we nor the donor have any idea how the manuscript was misplaced or lost in Spokane in the ensuing decades. And the family members we contacted were also a bit mystified. Over the months of studying the documents, we became firmly convinced that the memoir that was donated was indeed the original. Besides the reasons noted above, we also analyzed the paper and the type font. The paper is legal sized, 8 1/2x14, as compared to the 8 1/2x11 format of the later version. 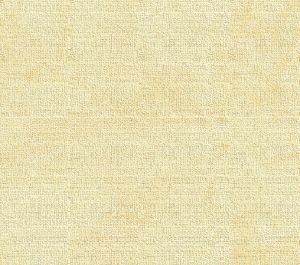 The paper is what was sometimes called foolscap, like onion skin. The font is from a very old typewriter, non-justified, a monotype font and it is original typing, not a carbon copy. Finally we know this is the original because the documents attached were all originals, including Dwelley's Civil War papers, including one signed by Gen. George Meade, at one time the field commander for the Union troops; and the papers for the Dwelley family plot at Pleasant Ridge cemetery. We will serialize the memoir in a few installments, but meanwhile, here is a transcription of one page, which will give you the flavor of what you will read. Note here that the year at the beginning is 1870. His friend from Wisconsin, Joseph H. Cleaves, urged Dwelley to explore Puget sound with him; Cleaves knew very early settlers on Whidbey Island. We will also soon profile the history of the Cleaves family, who also became important pioneers of the Mount Vernon area. By my extrapolation of Dwelley's days and dates they arrived at Whidbey on or about March 26, 40 days after leaving Stockbridge, Wisconsin. Brief profile of Joseph F. Dwelley Joseph Dwelley was born in 1839 in Kittery, Maine. His father was a Boston ship carpenter and Joseph learned the trade well. According to various sources, Chuck Dwelley's family descended from a passenger on the Mayflower who landed at Plymouth, Massachusetts (hereafter MA), on Dec. 26, 1620. We have become familiar with the passenger manifest after our studies of the families of Sedro-founder Mortimer Cook, and Clara A. (Bartlett) Cooper of Lyman, who were also Mayflower descendants. No one with a Dwelley surname sailed, as some sources have asserted. At this point, we can only conclude that a Dwelley ancestor married a descendant of one of passengers. That may have been a member of the family of Richard Dwelley, who was born in England and settled at Scituate, MA, in 1665. After he served as a soldier in King Philip's War, in 1676 he received for his services a grant of land near the Plymouth road. After service in the Revolutionary War, Allen Dwelley settled in Penobscot, Maine. Joseph's parents, George Wilder and Narcissa S. (Spinney) Dwelley, settled in Kittery, Maine, where she was born; George was born in Ashburnam, Massachusetts. they had been married 17 years when Joseph was born. In his autobiography that we will soon serialize, you will read that as a youth he was apprenticed out to a shoemaker, went on to learn carpentry, iron molding and other skills before leaving his home in Boston in 1859 for Wisconsin. He arrived there in time to enlist in the Fifth Wisconsin Regiment for the Civil War. He fought in a number of the great battles, was commissioned a Second Lieutenant in the field after the battle of Chancellorsville. He came home in 1865 to form his own company as Captain but as the war was ending, was unable to secure volunteers. He had moved from New England to Wisconsin as a young man and in 1861, after learning of the fall of Fort Sumter, he enlisted in the Union army. His autobiography includes eye-witness accounts of the battles at Antietam, Chancellorsville and the Wilderness and he watched Pickett's charge from Little Round Top Hill at Gettysburg, among many other battles in which he fought during the war. Following his war service, after Dwelley married Angeline Wells on Feb. 11, 1865, Joseph's friend Joseph H. Cleaves suggested that they strike out for Washington Territory and Puget sound, where Cleaves knew settlers. We discover in the memoir that Cleaves had traveled to the Sound in 1865 and he offered to grubstake Dwelley for the travel West, but Joseph wanted to earn his own way. Having decided in early 1870 to seek a home in the West, Joseph left his bride and two infant daughters to wait until he could send for them. When the two young men reached San Francisco, they spent their last money on passage north to Washington Territory. Cleaves knew Walter Crockett on Whidbey Island, so they landed there. They soon met settlers such as David E. Kimble who was staking a claim at the future site of Mount Vernon on the Skagit River, and in the spring of 1870 Dwelley also rowed up the river and staked his own claim, joining Jasper Gates on the site that would later become the town in 1877. In October 1870, he and others erected the core of cabins on their sites. The young Dwelley had inherited his father's carpentry skill, so he built barns and houses or finished houses for settlers on Whidbey island in the summers. His wife joined him in February 1871, a year after he left Wisconsin, and brought with her their two children, Vesta and Viola, and her father, Alonzo Wells. Over the next two years, the family traveled back and forth between their cabin on Whidbey Island and the cabin on the east shore of the Skagit River. We have been working with other researchers to determine the location of that first Skagit cabin but have not found the answer. Kate was one of the first white children born in the area, but not the first as was sometimes incorrectly recorded. From Coupeville to future Mount Vernon by canoe, as a babe "One of my first conscious memories," said Joseph's daughter, Mrs. Kate Maloy, in 1959 [see the Journal feature], "is of going back and forth to Coupeville in a large canoe. 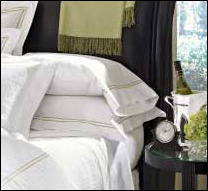 Mother put a feather bed in it and we children slept while our parents rowed. We lived in a log cabin on the island two summers." Alice Catherine "Kate" was born in 1872. After four seasons on his Mount Vernon homestead Dwelley moved completely to LaConner for good. We have still not determined who bought his claim on the river, nor do we know the exact outlines of it; we hope a reader might have such information. The country above the jam was too lonely for a man with a family. Some sources peg 1875 as the year that he opened his furniture store, but Kate later recalled that the year was actually 1885. He lived in LaConner for 60 years, one of the true leaders of the early pioneers in government and in social lodges. The boy who learned to be a carpenter grew into the man who helped imprint social structure on the frontier. During those 60 years in the town, Joseph Dwelley served as postmaster, three terms as mayor, postmaster under President Benjamin Harrison and Grover Cleveland, and a member of the school board, storekeeper, carpenter and boat builder. He also gained the lifelong title of "Judge Dwelley" for over 50 years as Justice of the Peace and Police Judge in the community. He helped organize a GAR post and at the time of his death at age 94, he was the last surviving member. We also learned from the 1904 LaConner school records that: "Mr. J.F. Dwelley taught a private school that he maintained in his own home, principally for the use of his own family, preceding both Mrs. Dwelley's and Mr. Culver's schools." He died in 1933 at his home in LaConner; the house is still occupied at Third and Benton streets. That winter I worked in a wagon shop building bob sleds, but could barely make a living at it, though it was better than loafing. The next spring I bought an old frame house and a lot at the edge of the village, and Dad Wells [father of his wife Angeline] helped me move the house so we were soon living in a home of our own; the first. That summer I had plenty of work as there were two churches being built and some houses. I worked on the largest church and had a narrow escape. I was taking down the staging on one side and was on the third tier of staging from the ground, passing the boards down to a man on the ground. and I was shoving the boards faster than he could take them away when the whole thing gave way and started to fall. I happened to be opposite a window opening when I felt it was going, and without looking to see where I was going to light, I jumped through and landed on a pile of scraps and shavings without a scratch, but one of the tamarack poles just grazed me as I went through. When cold weather put an end to outside work, I went back to the wagon shop. In the middle of the winter Cleaves got after me again to go out to Puget Sound. I thought it over a spell, and as the prospect for work the next summer did not look good, I concluded to try it again. It was well that-I did for there was no work at all and times were very hard. This time, however, I was not dependent on Cleaves, for when we started I had a little money more than he did. I borrowed $100 on my house and Cleaves sold corn at 10¢ a bushel to raise what he had. The railroad to San Francisco was now finished [The Union Pacific-Central Pacific connection opened on May 10, 1869] and our plan was to get there and work long enough to pay our passage to the Sound. We left Stockbridge February l4, 1870. When we got to Chicago we found that we had not enough money to pay our fare so we borrowed $50 of Colonel Sweet, a former resident of Stockbridge, who was then practicing law in Chicago, and went on to Omaha and started on an emigrant car for San Francisco. The car was attached to a freight train and it took us eight days to get through. There were only seven or eight in the car, but we had it very comfortable with a big stove to cook on. From Ogden the car was always full the rest of the way. San Francisco We arrived in San Francisco the middle of the week and found the city crowded with idle men and no work for anyone. By pooling our funds we had just $35. The fare on a sailing ship was $25 apiece so we made up our minds to get cut. On Saturday we went down to the docks and found that two ships were to sail the next morning for Seattle. The next morning we went on board the first one which was the Isaac Jenner. One of the mates met us and inquired our business. We told him our fix and that we only had a small amount of money. He told us the regular price was $25 each but he thought the old man would take us for what we had if we kept away from the office. He pointed to a corner up on the street and told us to go there and wait; that the captain soon would be along and described him so we would easily know him. He said it would not do to approach the captain near the ship where he could be seen from the office which stood at the head of the dock. We did as we were told and only waited a few minutes; told the captain our story and he finally agreed to take us for what we had. He told us to get on board with our traps after the office closed and to stay in the cabin out of sight the next morning until we were clear of the harbor. After dark we got on board and the mate stowed us away, giving Cleaves a couch in the main cabin and giving me a bunk in his own room. He told the steward to give us a bite if we wanted it; he and the second mate going up town for the evening. The next morning I put on old clothes and went out and mixed with the sailors. I was at home on a ship and knew most of the ropes; so much so that the mate told me I ought to be a sailor. We were soon clear of the wharf. The tug took two ships out through the Golden Gate, out on the Pacific where they left us near the Farralons [islands], and we made sail and headed for the North. The next morning the captain called his carpenter aft and told him of some changes he wanted made, but the man, a green Norwegian, was no carpenter at all, and after the captain had cursed him for his shipping as a carpenter, I clipped in and told him I understood what he wanted and would rather be at work than sit- ting around, so he told the mate to get my tool chest up where I could get at it, and I went to work. The Norwegian helped what he could and in a couple of days I had it done to the satisfaction of the old man. For the rest of the voyage I was on the soft side of old Captain Bowlin. He was one of the kindest men I ever knew, and his men said the same, as most of them had sailed with him voyage after voyage. The first mate with whom I roomed was named Foster and we were soon chums, and in our talk together it developed that he was a distant relative on my mother's side. The captain found that I could play cribbage, which was then a new game in this country and every afternoon he called me into the cabin for a few games. The night we were off Cape Mendicino [sic, Mendocino, CA] we were struck with a heavy gale, and more than half of the sails were torn away. Before the gale blew out we were a long way toward Honolulu and had to beat our way back. when we finally entered the Straits it was just 21 days from the time we left the Golden Gate. It was a bright sunny day, Sunday, and a number of other ships that had been driven off shore entered at the same time. A race developed between the different ships in the course of the forenoon. The ship Elizabeth, that was towed out of port when we were, got a favorable slant of wind and sailed by us, and her captain called out to know if he should throw us a towline. "I will show you who wants a towline before night," the captain called back. Sure enough when we rounded Point Wilson, near Port Townsend, we led the fleet, and we could just see the Elizabeth below Dungeness. when nearing Port Townsend we asked the captain to put us ashore on Whidby Island [Whidbey], as we were broke but we had friends on the island to go to. At least Cleaves had. So he ran over and the mate took us ashore, landing just south of the lighthouse. Just as we were leaving the ship the captain called me aside and gave me a $5 gold piece, telling me I had been a good boy, and that if I did not find work on the island to come to Seabeck and he would see that I had a job. We landed on the beach about midnight, built a fire and sat by it until day light when Cleaves left and was gone until nearly noon when he returned with a team to take our baggage we went up to Walter Crockett's place and I got a dinner that tasted good as I had had nothing since our last meal on the ship. None of the Crocketts had work for us, so after a couple of days he gave us some provisions and we went to a place some Six miles south which was owned by Tom Hancock, a brother-in-law of the Crocketts, to camp until we could find something. We stayed there a few days, wrote some letters, and I started for Coupeville, ten miles away, to mail them. On my way I passed the home of Grove Terry and he came out and asked me if I wanted work, as he had heard that I was a carpenter. He told me he had no money to pay until fall but would pay me then. I went in, looked over the work he had. He had a three-story cottage, finished outside, but nothing inside. He said he would pay me $2.50 a day and board, and that I could leave his work if I found a cash job, and then come back, and to make his home my home; so I took his offer; went on to Coupeville, mailed my letters and then back to Cleaves. I told him I had a job and he wanted me to take him in on it, but I told him he was not a carpenter and that I would not say he was, although he was handy with tools. The next morning we packed up and went back, Cleaves going to old Sam Crockett's and I to Terry's. He went after my tools and I went to work, and from that time, as long as the Terrys lived I was at home with them. I worked about two weeks, when one Sunday a sister and brother-in-law took dinner at the house and Mrs. Doyle told me that they had a house in the same condition as Terry's and wanted it finished and would pay $2.50 a day cash and board. with Terry's consent I went out to Smith's Prairie where they lived and the next morning went to work and finished up their home. As soon as I had earned enough I took my part of what we borrowed in Chicago over to Cleaves; then I had to go to Port Townsend to send the balance home to my wife. Earlier in the spring  I had made a trip up the Skagit and located a claim. I finished Doyle's job and then went back to Terry's to finish his work. In October a bunch of us who had located claims went up the river and helped each other roll up the bodies of our log cabins. I had earned and sent home enough to bring my wife out with the help of what she could get from the sale of our home and, in November in company with Charlie Washburn I went back for the winter and for the sake of company we exchanged work. In that way I got the roof on and a door in and then went down to Washburn's claim, got a little shack built and some clearing done. His place was a half mile back in the woods opposite Skagit City. One Sunday we went up to my place. We had to cross the river and then the North Fork, walk up two miles and cross back on the log jam. It was pitch dark when we got back to our boat. Charley wanted to go to Ed McAlpin's house [also recorded as Ed McAlpine] and said we could not find the way to the cabin as there was nothing but a few blazes on the trees to guide us. I told him I was going to sleep in my own blankets. We crossed over, and as soon as we got in the edge of the woods it was sure dark but I knew there was a lot of cedar chips where someone had split shakes and I soon found it and had a small fire going. Then I made a torch of cedar splints, filled it with bunches of spruce pitch and had a fine light so I had no trouble following the blaze marks. When about half way in there was a snort and a crashing of brush just behind us, Charlie gave a yell and came against me, nearly putting the torch out. I told him it was only deer that was attracted by the light, but he thought it was a cougar. When we got to the shack I wanted to take my gun and another torch, but could s not get him outside again. The next morning I showed him the tracks, where they had followed us in the clearing. We had a beautiful winter with the sun shining most of the time. The moral of this story We are again grateful to the Vancouver, Washington, couple who saved these papers and donated them rather than selling them on EBay or other Internet sites. We ask anyone who is descendant of an early family follow their example. Even if family members do decide to sell important papers, documents and photos from an estate, please consider contacting your local museum or historical society. Or if you would like, we will find the best home for your documents or we can scan and copy them before you dispose of them. That way other students of history can study them in an archival setting and they will not be lost in time. Like this memoir and papers almost did. Portal section with many links for the Dwelley and Maloy families. 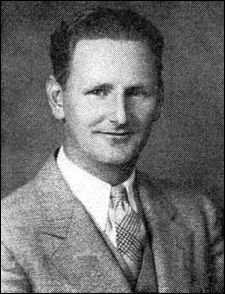 Introduction to Charles M. "Chuck" Dwelley publisher of the Concrete Herald from 1929-70. You will find links there to obituaries and other features that reference Chuck Dwelley.